I'm still undecided about whether or not to participate in the NaNoWriMo challenge this November as I have several works in progress that I need to finish before starting another new one. There's still time for me to change my mind and jump in though. Wouldn't be the first year that I say I'm not going to do it, and then at the last minute start a new project. 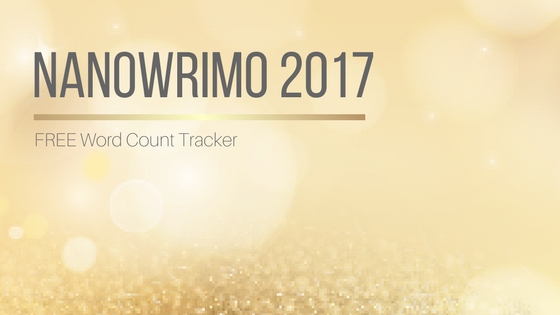 Anyway for those of you that have decided to take the plunge and reach for that 50K in 30 days goal next month, I have a little treat for you today: a NaNoWriMo 2017 Word Count Tracker! 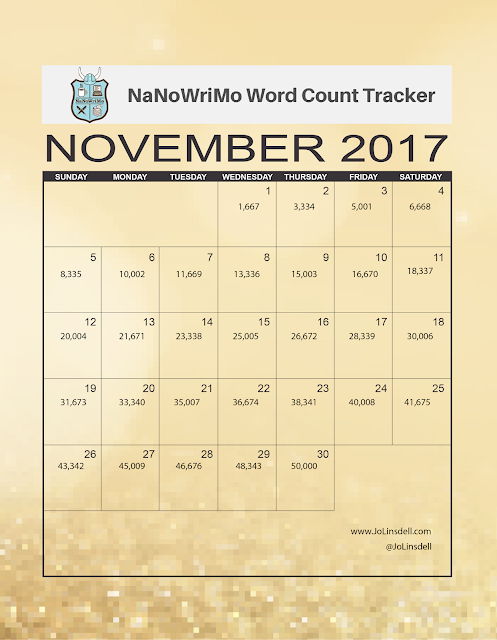 Although the NaNoWriMo website has a word count tracker to help keep you on schedule, you might find a printable version helpful. That way you can turn off your internet and concentrate on your writing, and still have your daily goals in front of you. Good luck to all of you that are taking part this year. Even if I don't participate myself this year, I'll still be cheering you all on.